Many city drinking water systems add softening agents to keep plumbing free of pipe-clogging mineral buildup. According to new research, these additives may amplify the risk of pathogen release into drinking water by weakening the grip that bacteria—like those responsible for Legionnaires' disease—have on pipe interiors. The team measured the thickness and stiffness of lab-grown biofilms using magnetomotive optical coherence elastography—a tool used to measure the strength of cancer tissues. 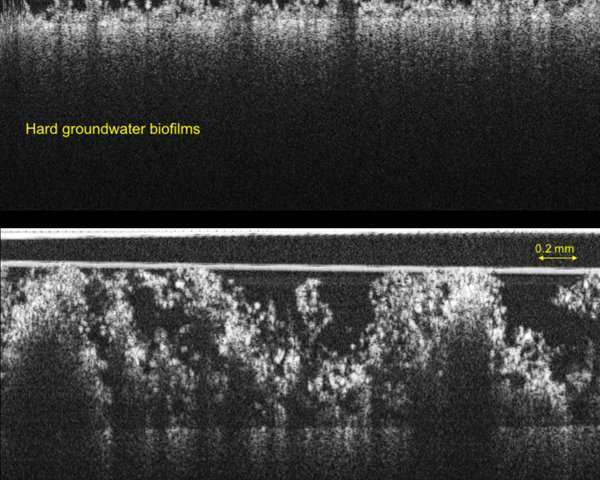 The analytical method, developed by Stephen Boppart, a professor of electrical and computer engineering and study co-author, allowed the team to quantify the effect that polyphosphate has on the strength of biofilms. 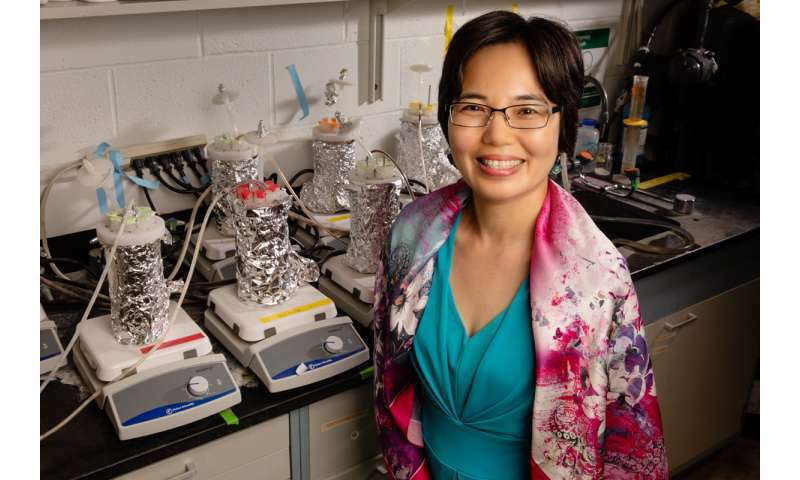 Civil and environmental engineering professor Helen Nguyen has found that water-softening additives may increase the risk of pathogen release into drinking water by weakening the grip that bacteria have on pipe interiors. Credit: L. Brian Stauffer.